When you're new to New York City, it can take some time to get familiar with the different neighborhoods of Manhattan (not to mention the outer boroughs in Brooklyn, Queens, the Bronx, and Staten Island). We've created these overviews to help you get acclimated to the neighborhoods of Manhattan, whether you're researching where to live or are simply setting out to explore town. Find the most relaxing green spaces, the best neighborhood bars and restaurants, and more, in our related neighborhood guides. Our guides will also point you to essential neighborhood resources, like 24-hour pharmacies and police precincts, and provide information so you can determine the least and most expensive neighborhoods in NYC. See below for links to our current Manhattan neighborhood guides, listed from Downtown to Uptown. Financial District & Battery Park City: Wall Street and the surrounding area are no longer strictly business. 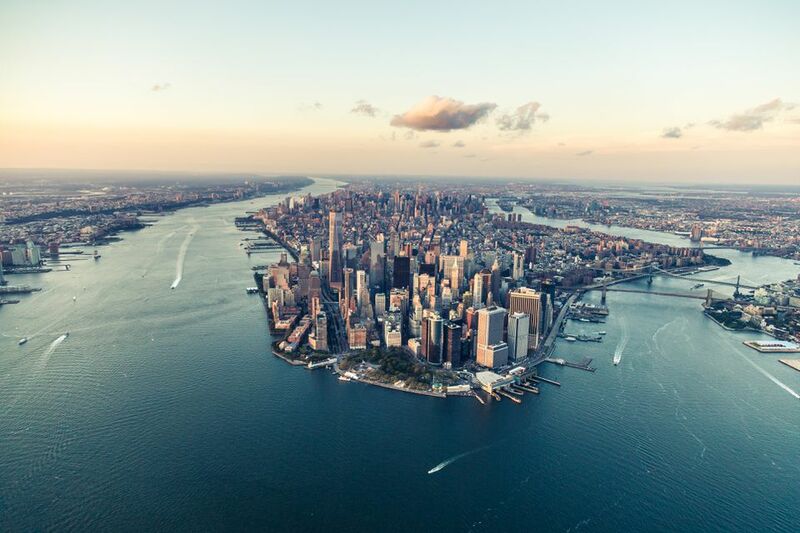 Manhattan's Financial District is now also a popular residential area (especially around Battery Park City), with plenty of bars, restaurants, and attractions. Tribeca: Tribeca was once a factory neighborhood, but the loft buildings are now home to downtown celebrities. SoHo: SoHo is now a polished shopping mecca, but you can still find hints of the neighborhood's past as a funky artists' community. West Village: The West Village is one of Manhattan's most expensive and desirable neighborhoods with a mix of quaint old buildings and new residential skyscrapers. Greenwich Village: Greenwich Village has a rich history as the city's preferred home to artists, writers, and musicians. The neighborhood is also the site of New York University's main campus. East Village: The hip East Village spills over with some great music clubs and one-off bars and shops. Chinatown & Little Italy: Two of NYC's more colorful and transporting neighborhoods converge here, where a lively combination of sights, smells, and sounds combine old and new worlds. Lower East Side: Immigrants once crowded into the tenement buildings of the Lower East Side. The neighborhood is now a nightlife destination and hipster residential zone. Gramercy Park: The Gramercy Park neighborhood is centered around Manhattan's only private park. Flatiron District: The Flatiron District gets its name from the iconic Flatiron building and also features Madison Square Park. Chelsea: Chelsea is home to top Manhattan art galleries, the Chelsea Hotel, and lots of new rental buildings. Midtown East (with Murray Hill): This skyscraper-speckled section of the city is iconic New York, with attractions like the Empire State Building, Fifth Avenue, the United Nations, Grand Central Station, the Chrysler Building, and St. Patrick's Cathedral. Midtown West (with Hell's Kitchen & Hudson Yards): The terrain of Times Square, Madison Square Garden, the Theater District, and Rockefeller Center, this is what people think of when they think of New York. Once a sketchy stretch of Midtown, Hell's Kitchen is now hip and gentrified. Upper West Side: The lovely Upper West Side is family-friendly and close to Central Park. Upper East Side: On the east side of the park, the Upper East Side is a diverse neighborhood that includes posh Park Avenue and some affordable walk-ups further east. Harlem: Historic Harlem is home to brownstones, the Apollo Theater, and some affordable apartments.